- Deadline extended to 27th March! The 10th International Conference on Pattern Recognition Systems (ICPRS) is an annual event that follows ICPRS-18, ICPRS-17 and ICPRS-16, a continuation of the successful Chilean Conference on Pattern Recognition that reached its 6th edition in 2014. 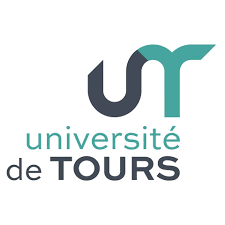 In 2019 it is organised by the University of Tours (France) and the Chilean Association for Pattern Recognition (ACHiRP, a member of the IAPR), endorsed by the IAPR and sponsored by the Vision and Imaging Professional Network of the Institution of Engineering and Technology (IET) who will publish its proceedings. Papers deemed to be of the required standard and presented at the conference, will be indexed by INSPEC and, through it, normally by IEEE Xplore and Scopus (provided that at least one author registers and presents the work at the conference). All paper submissions will be submitted via Conftool to be peer-reviewed by an international panel of experts. Excellent papers will be encouraged to submit extended versions for consideration in an IET JCR peer-reviewed journal (e.g. IET Computer Vision Journal, IET Image Processing Journal or IET Biometrics Journal).